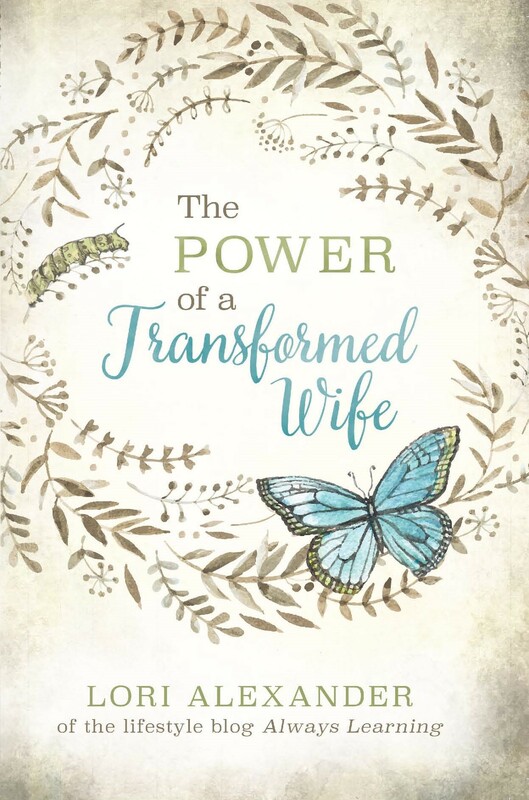 Her husband had an affair but she fought for her marriage using 1 Peter 3:1-6 because she cared more about her husband’s eternal soul and her children’s future than her own happiness. She was willing to do what God told her to do to win her disobedient husband in spite of the pain and suffering he was causing her. She won her husband back but would still have times of grief thinking about her husband with another woman and the pain of it all. During these times of crying, her husband would hold her. One of these times, she felt his tears flowing down her face as he told her how sorry he was for the pain he caused her. He finally showed true repentance from his affair. Here are words of encouragement from her to a woman in the chat room whose husband is having an affair and any of you who are reading this and are in the same difficult situation. That was one of the most beautiful moments in my marriage; to watch true repentance happen is wonderful! It was almost two years after my husband confessed his affair that I saw true repentance. Of course, he apologized to me before that and wanted our marriage to work, but there wasn’t true godly repentance and sorrow about it until almost two years later. Until that point, it was still lots of daily work on his part and especially mine. Now, we still work at our marriage, but it isn’t a struggle. It’s soooo much more joyous and wonderful! I want to tell you that when your husband comes home, that’s when the real battle takes place with you especially. It’s already starting with comparison. You have to KILL. THAT. NOW! Don’t allow that to happen. Anytime the thoughts come, you must renew your mind with God’s word and stay continually in prayer. I will be honest, I was overjoyed when my husband and I decided to begin working on our marriage after the affair but I wasn’t prepared for how hard it would be with the battle of my mind. That’s where our flesh is the weakest and Satan attacks the hardest. I went into a depression because I turned to my husband, now that he was home, to fix things that he messed up. He couldn’t then and he still can’t now. But I expected it. And it dragged me down to the lowest point. I turned my husband into Jesus into my mind and it crippled me and almost made our marriage fall apart again because I became so obsessed with him and was living in fear of it happening again.. So here me now and learn from my mistakes: Keep your eyes on Christ. I’m gonna repeat that again because it’s sooooo important…KEEP YOUR EYES ON CHRIST!!! Don’t let your mind dwell on what happened or what your husband might be thinking or doing. Don’t. Focus on God and His blessings instead. Keep being the wife that drew him to want to come back home. But don’t make him your idol or your Jesus. It will destroy the marriage you have worked so hard to maintain. When it gets hard…pray. When your mind wants to wander…pray. When thoughts try to come and invade your mind…pray!!!! Get in the Word, more so now than you ever have. Renew your mind! Trying to bring your husband back home was tough…but now the real battle against your mind will begin. As you see, it already is. Stay strong. And forgive your husband. Truly and deeply forgive him. Come in here and let us help you when it gets tough. God is on your side and with him on your side you have heaven’s armies on your side too! I am soooo glad he is coming back! Prayers are being answered!!! Keep winning him without a word. God will bless this. He already is!! Many hugs!! they also may without the word be won by the conversation of the wives. Marriage is worth at least a second chance, maybe a forever fight. It is the trials and difficulties of marriage that will help grow us up in Christ… or damage our lives forever if we let bitterness take root in our minds. I also thought once my husband returned home that everything would be immediately better. Luckily, I was seeing a Biblical counselor, and she warned me… “now is when it gets hard. Everything up to this point won’t even compare” And boy, was she right! One night it got so bad that I woke him up, told him I wanted him gone for good- and I held the front door open. His quiet refusal to leave spoke volumes. Now, a year and a half later, we’re doing wonderful. I still experience battles in my mind, but they are infrequent and short-lived. It’s so worth the fight as you can attest to, Madeline. Thank you so much for sharing. I do not know what physical adultery feels like from personal experience. I do have some idea about adultery of the heart from personal experience and know that God wants us to be blind to our experience and to walk by clear sight in His word. Scripture talks often about His adulterous church and He wants us to know about that, about His pain, for ourselves. Whether it is adultery of the heart [other gods] or physical adultery [and then necessarily of the heart], He wants us to deal with and understand OUR adultery against Him. Thanks for the regular reminder to your audience Lori. Blessings in Jesus Christ. My husband recently had an emotional affair with a woman,we wete habing problems as it was..I found messages and gave him the night to decide what he was going to do. He stopped communication with her that night and said it was never anything serious.. We moved across country and I am struggling now with my thoughts being crowded whenever I try and read or pray. I know I am pushing him away but I am struggling remembering seeing messages etc. I know God has bought us so far from him wanting divorce through moves and an affair.. I just feel like he’s not doing enough. He was a victim of abuse as a child so I know there is a whole other layer of issues..
You have to renew your mind with God’s Truth and not with past events that will just make your life miserable. It’s over and even if it isn’t, you’re not going to make your marriage better by stewing about it. I just found out my spouse has been seeing another woman. I recorded him and became totally heart broken when at the end of the conversation I heard him tell her, love you, we will talk soon. There were many other things said but it’s so painful to hear. I love my husband. I wasn’t the wife I needed to be. I was hateful, always barking orders and just not respectful. Not to mention finances were in awful shape too. I have forgiven him and I find myself in the word more now than I ever have been which makes me sad that I wasn’t the prayer warrior for my spouse before all this happened. He still isn’t sure he wants to be married. He said he’s been miserable for years and that he’s told me that and I didn’t listen. I don’t feel as if he communicated how severe it truly was or either I am a totally ignorant person. I want to save my marriage, I still love my husband but it breaks my heart that he didn’t love me enough to respect our vows. I’ve prayed for guidance, and asked for God to show me his way… we’ve been living apart now for almost 4 weeks. Please keep us in your prayers and that God will speak to him to let him know that all he has to do is ask for forgiveness. Please pray for my husband, he is having an affair with another woman. We have had problems for a year now, whereby he woul move out and come back declari g his love for me and daughter….now he admits he is with another woman. It is so complicated as im in the uk abd he is in hk. Im in the uk for our daughter’s schooling. He no longer wants a family or marriage. Says im not his wife. He has said this many times in the past yr and currently wants a divorce. Said he no longer loves me and cant be with me. Im devasted….our daughter who is 5yo is sad and says daddy is a liar and naughty. My husband is an unbeliever but i have for most of my life. It’s been a tough throughout our marriage with many ups and downs…mainly him not wanting us from day 1. Our families have no hope in us working out. Iv been praying the hedge of thorns prayer. Please advice and pray for us. Thank you. This is the 2nd affair in the past 9yrs. Yes it hurts so much. I think about it all the time. My husband confessed October 2017. He is trying really hard but I have not seen true repentance from him. I just cant bring myself to trust him again. Some days I am ok and I think I will be able to get over the hurt but then there is a trigger, a reminder and I am back to square one.